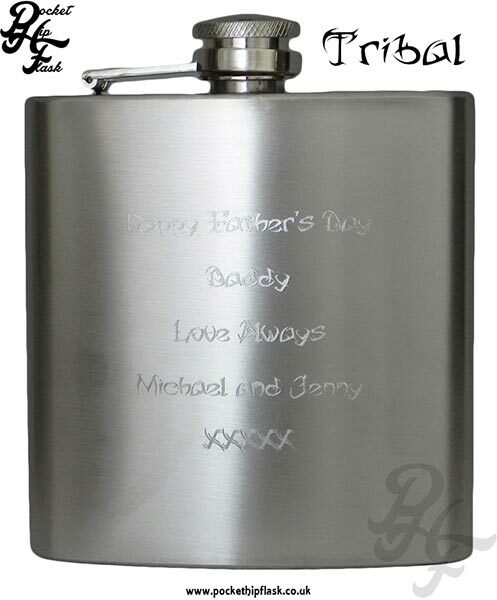 Low Cost Engraving across our whole range @ only £2.99. 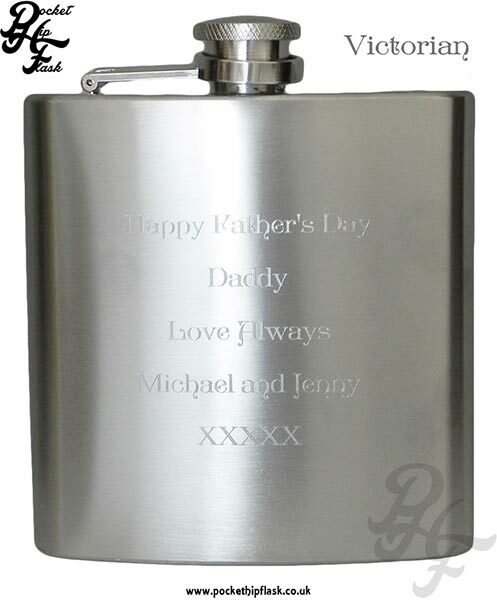 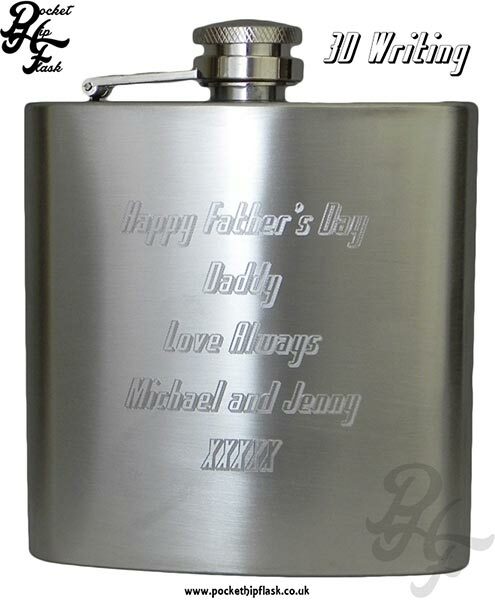 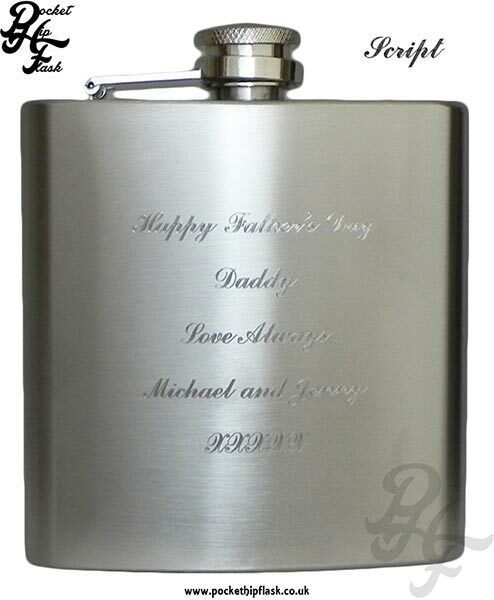 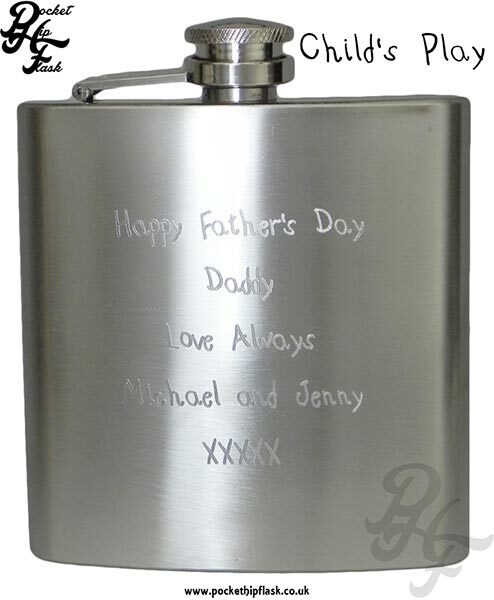 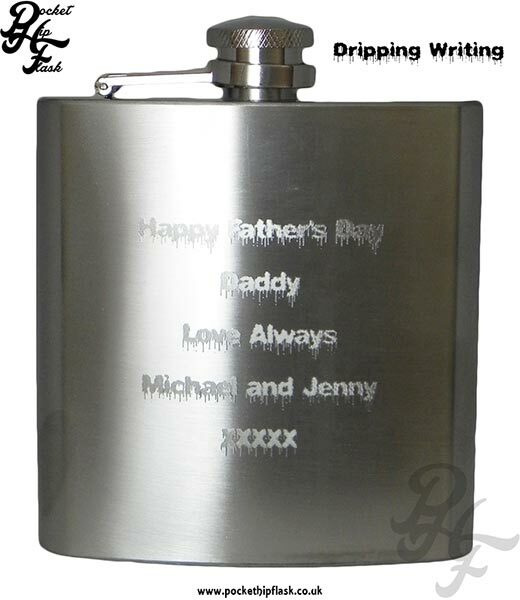 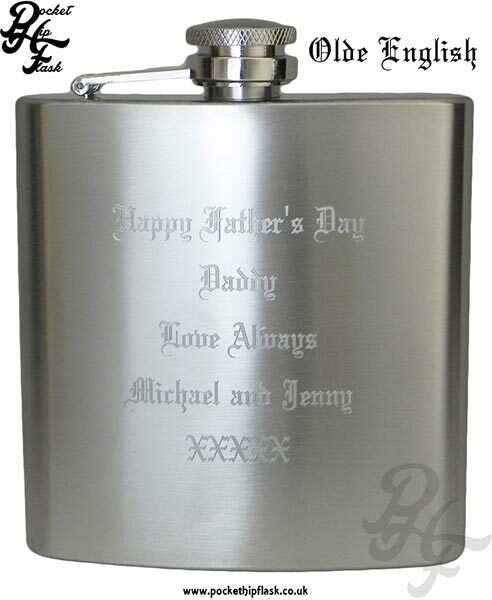 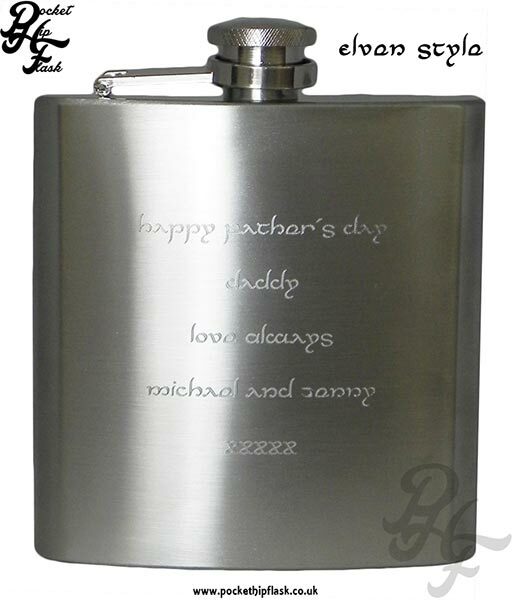 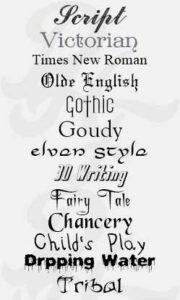 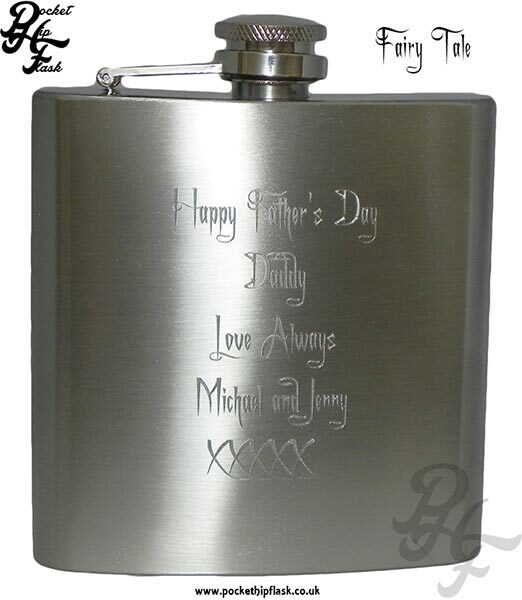 Here are a list of the engraving fonts we offer at The Pocket Hip Flask Company UK. 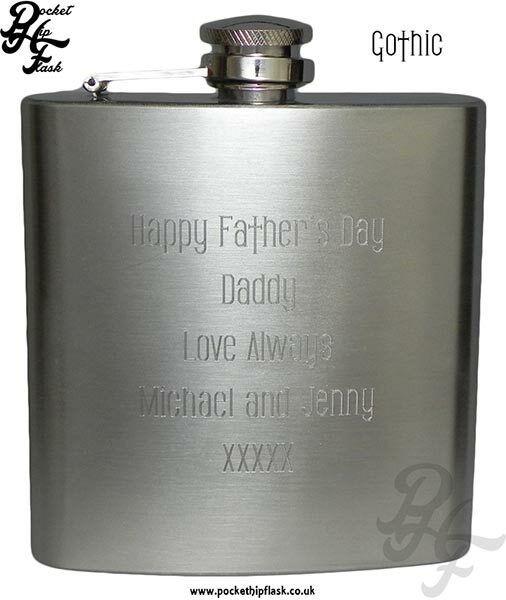 We love our customers to have a bit of choice when it comes to having their new hip flask engraved. We have used brushed stainless steel hip flasks for the examples so you can see the font without glare from a shiny flask.